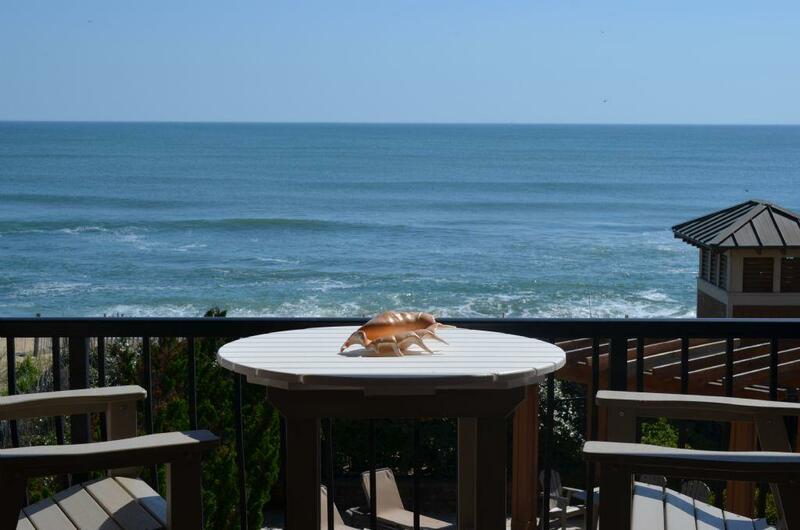 Our oceanfront condo rentals are located directly on the beach, offering the most uninhibited views of the Atlantic Ocean stretching from your doorstep to the edge of the horizon. 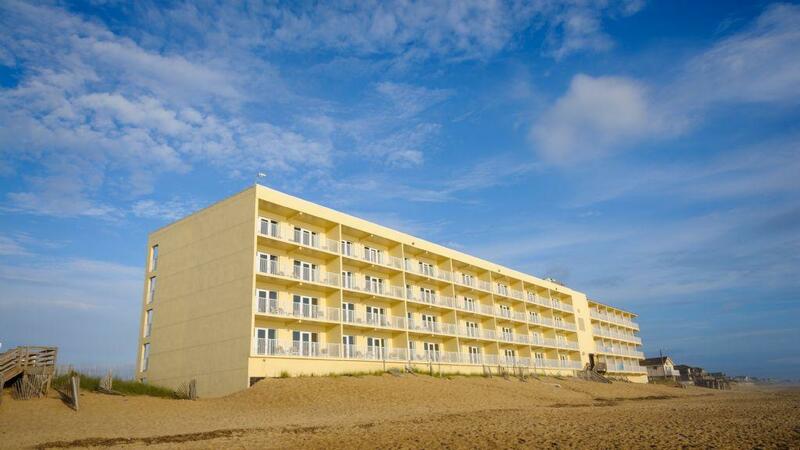 Convenient boardwalks bridge softly undulating sand dunes to the seashore, providing for private beach access and making for easy transportation of umbrellas, chairs, and other desired belongings. 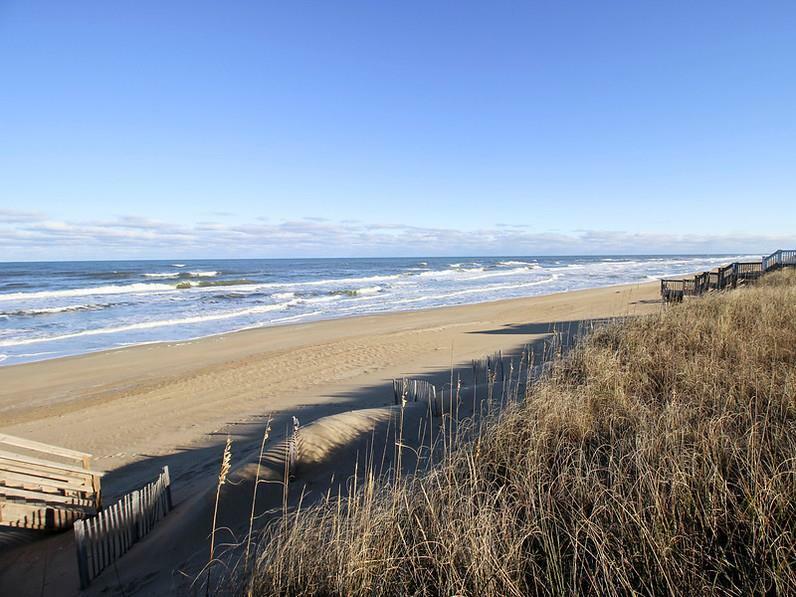 The Outer Banks are known for their endless expanses of open beachfront equating to a remarkable lack of crowds and a cozier environment than those of teeming tourist resorts. 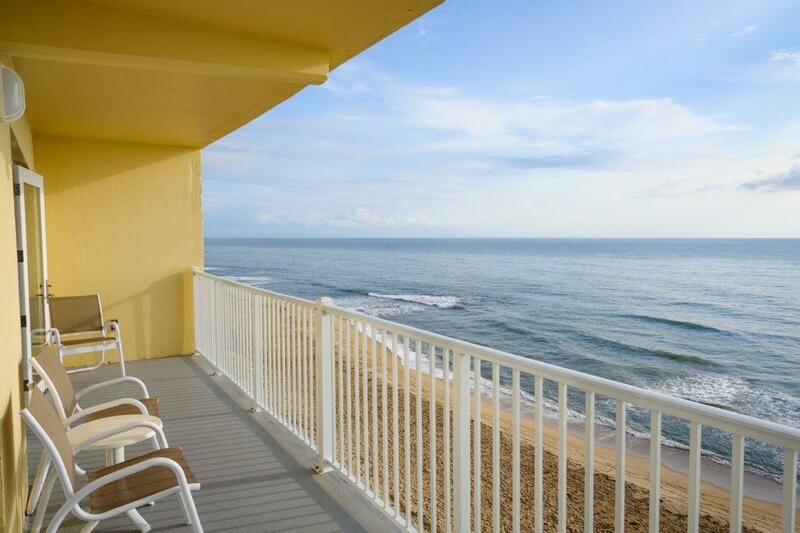 Oceanfront condos provide front-facing views of the encompassing blue sea via windows, doors, and porches. 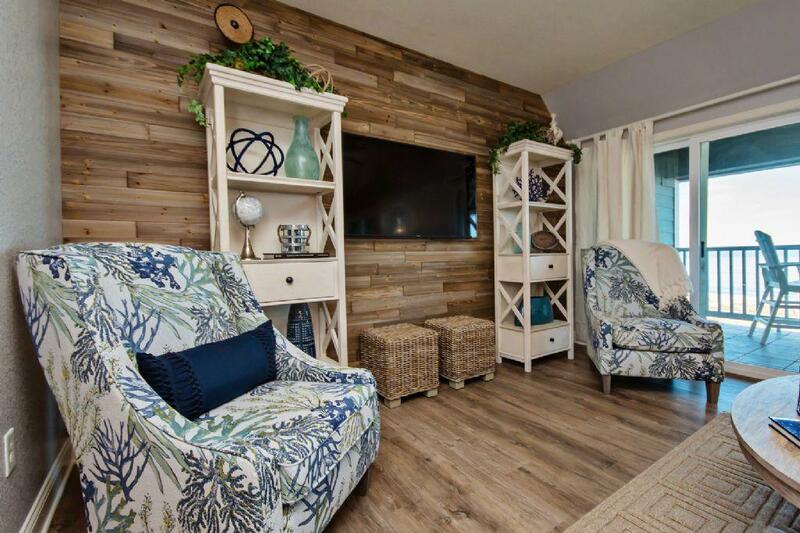 Enjoy your own private slice of ocean paradise from the comfort of your couch, chaise lounger, or beach chair. 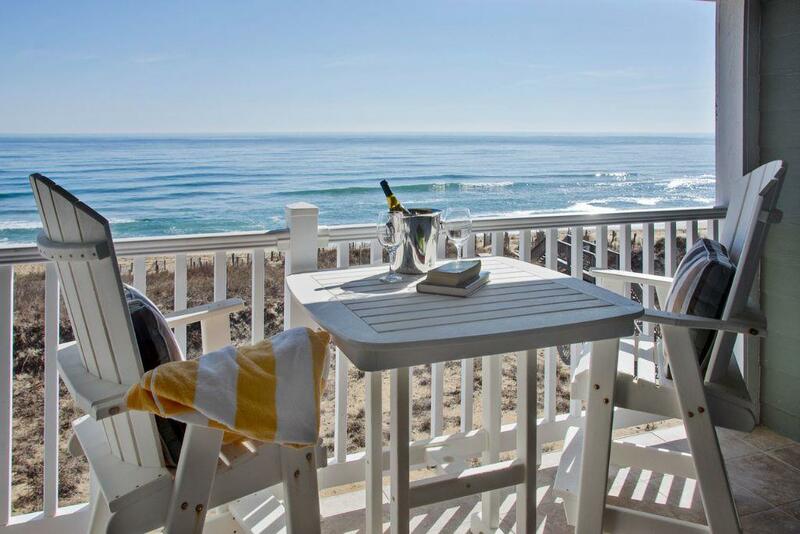 Close your eyes and revel in the sound of the gently lapping waves undulating up and down the shore just beyond your doorstep. 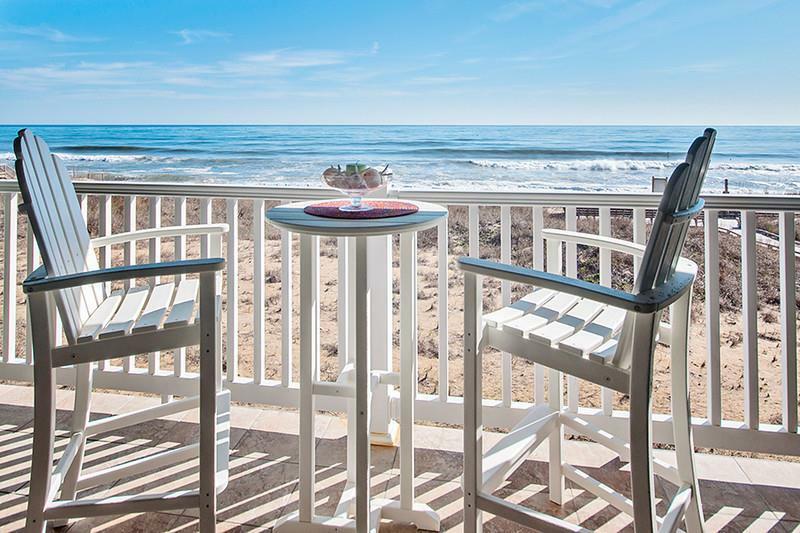 Spanning the space between the buildings and the sea are nearly barren sand dunes, gentle on the eye and sprinkled in tufts of native vegetation including beach grasses of varying green hues and the common prickly pear plant. These endemic eastern cacti are beheld for brightly colored fruits during full bloom, juxtaposing natural pink hues and encompassing green clusters of abundant beach grasses, making for untamed contrasting murals of exclusive composition. There are no roads to cross, no sidewalks to travel, and no infrastructure to detract from the visual peace of the beach and the sea. A lack of houses, fences, and trees ensure the most supreme views of the vast Atlantic Ocean. 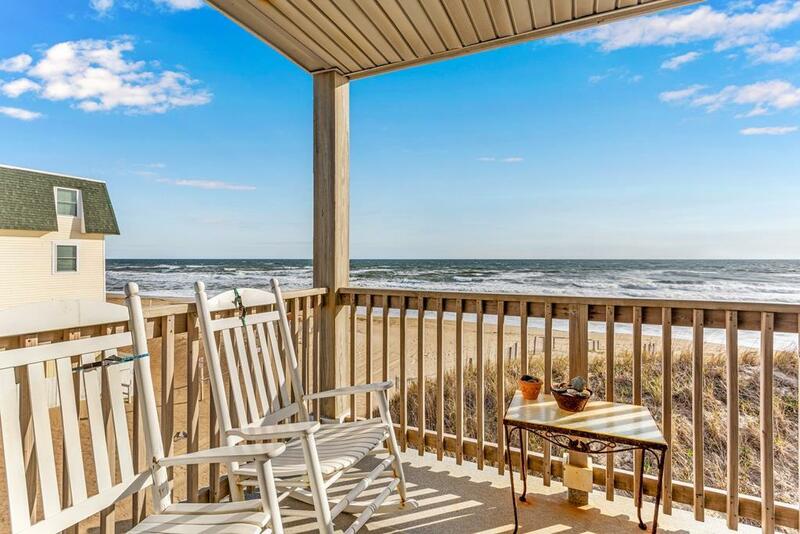 Your own tract of softly browned sand sprinkled with attractive umbrellas, beach chairs, and heralds of undeniable relaxation await — just outside your door. 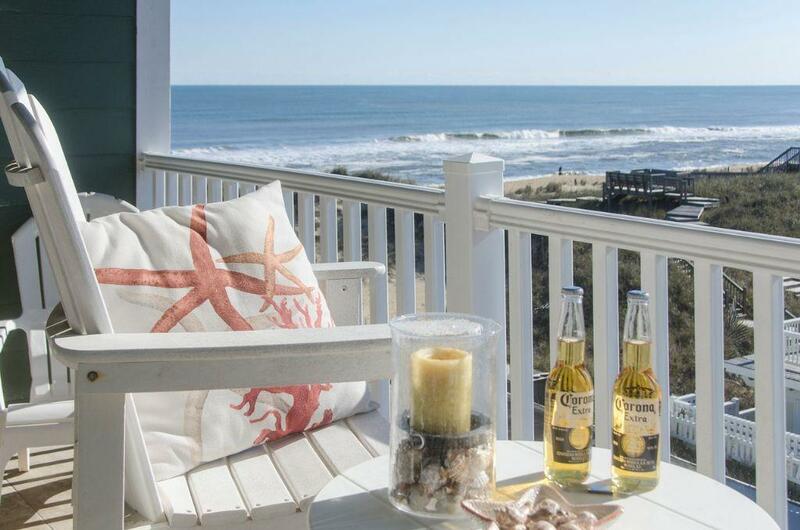 For the most intimate Outer Banks experience, choose one of our oceanfront condo rentals.